← Nuala was Right ! 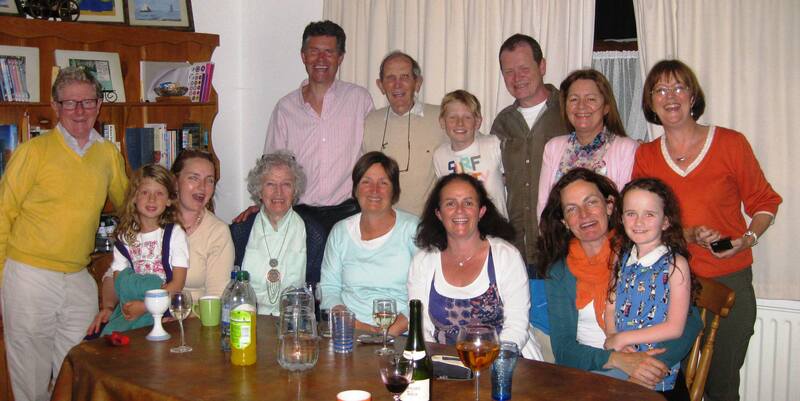 As I mentioned in our previous blog The Sheehan Clan (Nuala’s mother’s family) have an annual family holiday each August in Courtown. They have been doing this for about 20 years. It’s a great way for any extended family to stay connected. I think it is something that every family should look to do. 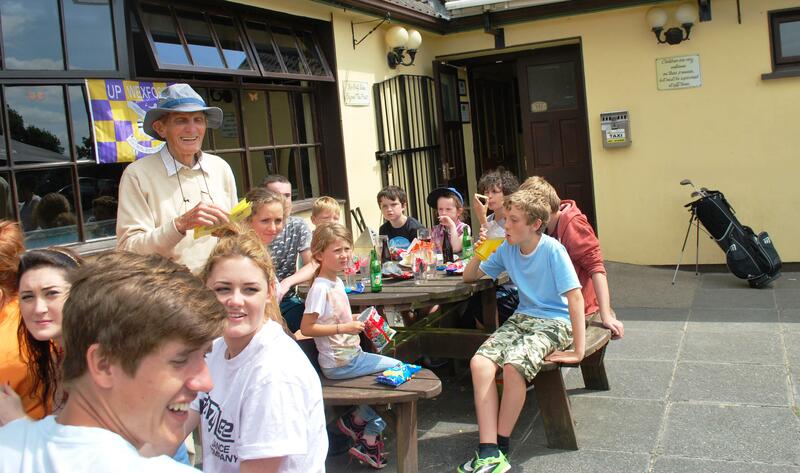 Up to 100 family members gather for the week, some coming from Germany, Australia or America and of course from all over Ireland. The Tierney Family organise the overall week and everything is booked a year in advance so that people have plenty of time to build the holiday into their schedule. This week is so important to Nuala that she only agreed to go on the Gap Year if we came home for Courtown ! There is a programme of events with different sections of the family managing each event. This includes a game of golf on a par three golf course where teams are made up from different age groups so that you could end up with 80 year olds playing with 8 year olds. 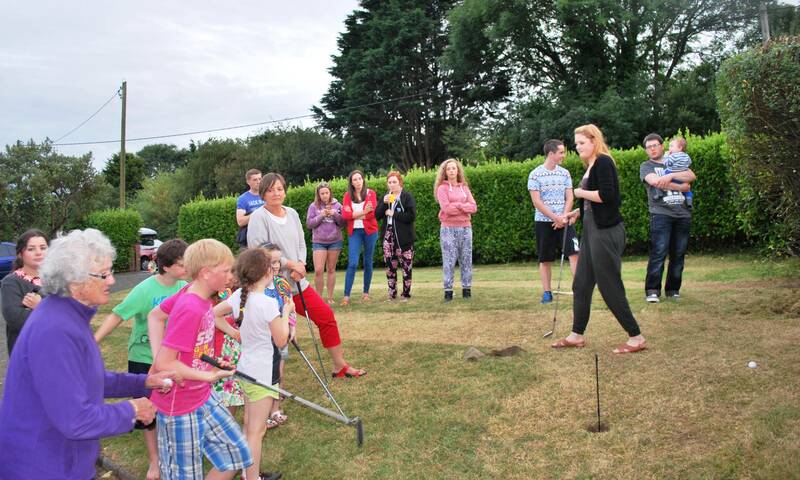 There can be up to 60 playing, Mexican Scramble, on the par 3 in the Bunker Bar in Gorey, at the same time. 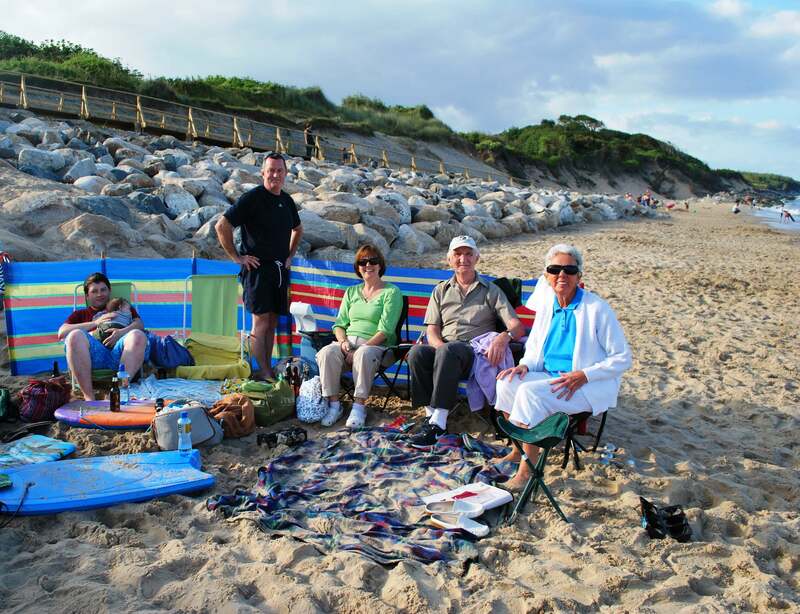 On another day there are sizzling sausages on the beach and a few Gin and Tonics for those who fancy it. 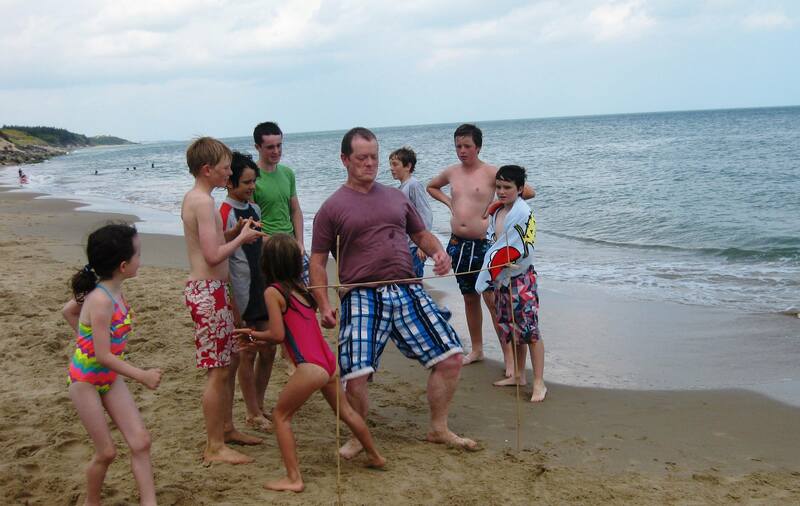 Beach games, sandcastle competitions, singsongs etc are the order of the day – come rain or shine. There is also a boxty cooking competition, (as their Granny was a great boxty maker) so that the old recipes and traditions do not die out. 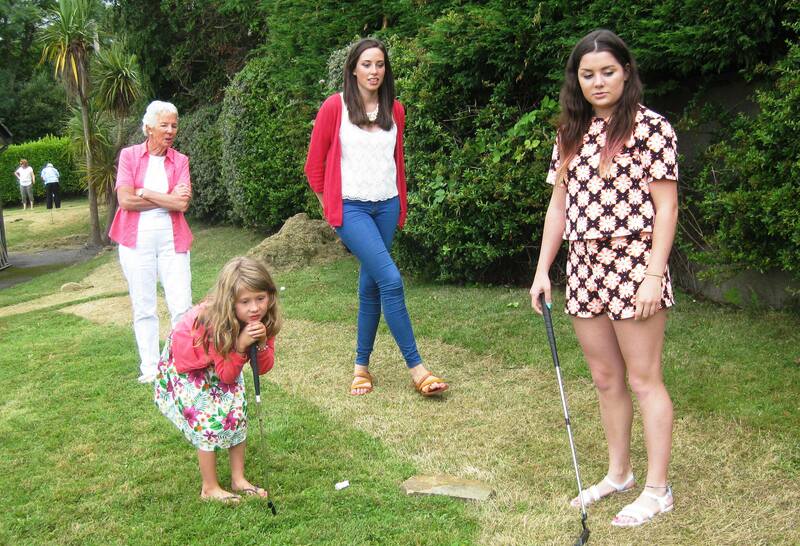 On the Friday, there are golf putting and table tennis competitions, followed by a BBQ, held in the Tierney’s at their family holiday home. 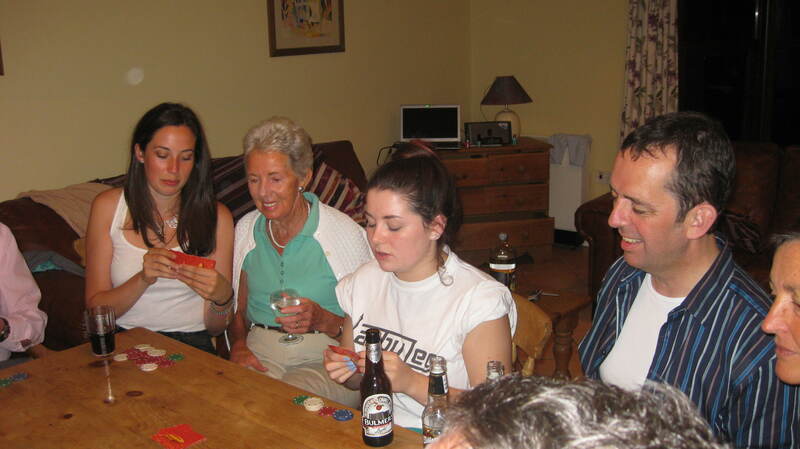 The family are very competitive (even the 80 year olds) and no quarter is given or expected as everybody wants to be the winner. It’s great example for the next generation. Every day even if it is raining, you will find the family on the beach. There are a few early birds, who go for a swim before breakfast! Eve focused on her game. Playing with Aisling and Richeal. Watched by Aine. This entry was posted in comments on life and tagged brady, courtown, sheehan. Bookmark the permalink.